There are no quick-fixes to living a healthy lifestyle. Earlier this week, it was announced that Katie Price was launching a new range of nutrition products and supplements. And it didn’t take long for people to raise their concerns. Among the complaints were qualified nutritionists and dietitians, who took to Twitter to share their views. Katie Price isn’t the first celebrity to launch a diet product, nor will she be the last, but the overwhelming concern is that meal replacement shakes are not the safest or healthiest way to lose weight. In the constantly growing world of nutrition, it’s easy to get confused and overwhelmed, and so, people look for a simple way out. Celebrities and those in the public eye are able to influence the general public. If they are seen endorsing certain products, many people take that as the answer. 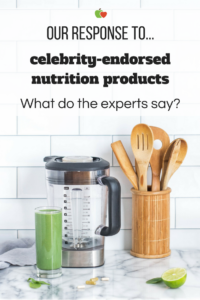 But the fact is, these celebrities aren’t professionals in nutrition and really, the best way to eat is one that makes you happy and healthy – a balanced diet. “I believe that a celebrity like Katie Price endorsing inferior supplements, which is mainly targeted to bodybuilders sends the wrong message to an easily-influenced audience about nutrition, health and body image. Protein powders can be helpful for some, but for most people, they’re an unnecessary expense. If you’re looking to learn more about protein powders and how helpful they really are, seek professional help. Nutrition professionals can assess your diet and lifestyle, and consider your goals to help you devise a safe, healthy plan. It will take time, but living a healthy lifestyle is exactly that, a lifestyle. 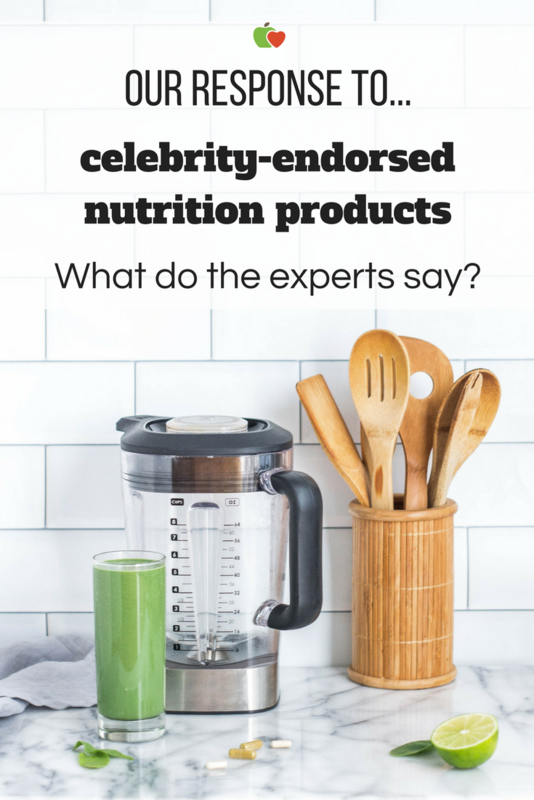 What do you think of celebrity-endorsed products? Join the discussion on Twitter! My diet is good, could I still have nutrient deficiencies? Do I have food intolerance?